KT has declared that it will commercialize world’s first 5G in 2019 and this is one year earlier than its initial plan which was 2020. This is KT’s declaration that it will commercialize 5G in 2019 as global standards. On this day, KT introduced prototype of standards for 5G service that it has developed with global ICT (Information Communication Technology) companies such as Nokia, Samsung Electronics, Intel, Qualcomm and others. This was the first time in the world when announcement for 5G standards was made. ‘KT 5G-SIG standards’ are telecommunication standards that will be used for demonstrative 5G service during 2018 Pyeongchang Winter Olympics and they include elements of major technologies and conditions of 5G that are required by global standardization groups such as ITU (International Telecommunication Union) and 3GPP. 5G-SIG is a group that was established in November of 2016 by 5 companies that are led by KT to co-develop standards that will be used for Olympics. Standards include maximum speed of 20Gbps, delay time of less than 1ms, and frequency 28GHz bandwidth 800MHz bandwidth. It is predicted that world’s first 5G demonstrative service will take earlier than expected as standards of 5G demonstrative service for 2018 Pyeongchang Winter Olympics are finalized before commercialization of 5G. Equipment, chip, and device manufacturers have to abide by these standards if they want to participate in demonstrative 5G service during Olympics. It is expected that expansion of 5G ecosystem will be possible with South Korea at the center. 5G-SIG will finish up developing base stations, devices, and equipment for core network by end of this year and is going to test them in actual situations in February of 2017. KT succeeded in ‘5G First Call (first transmission of data)’ that is applied with Pyeongchang standards on the 26th of October and has raised expectations. It is currently carrying out ‘verification of 5G virtualized core network’ since last month. 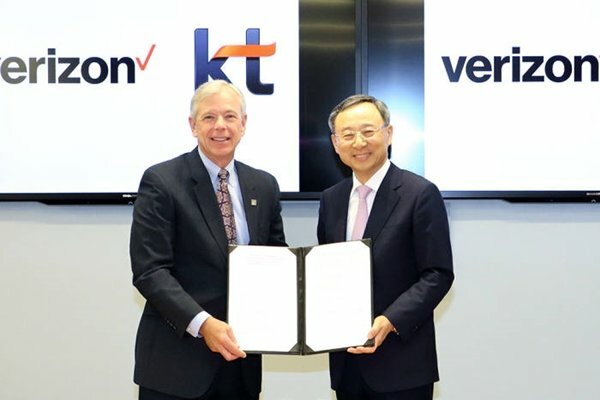 KT is going to apply its standards to Olympics and materialize commercialization of 5G if they are finalized as 3GPP’s international standards. KT is certain that standards that will be used during 2018 Pyeongchang Winter Olympics will be similar and become important factor for 3GPP’s international standards. It is expected that there is a high chance that these standards will be applied to international standards since not only companies that are participating in developing standards that will be used during Olympics are major network equipment and chip manufacturers that have dominant percentages in global markets but these standards will be verified in actual conditions. However it is too early to call these standards as ‘South Korean 5G standards’ since they are still ‘KT consultative group standards’. In order for them to be called as ‘South Korean 5G standards’, KT needs agreement from its competitors. “Standards are very important and are the ones that differentiate a mobile network provider from another.” said Department Head Seo. “There are clearly areas where we can work with other mobile network providers."